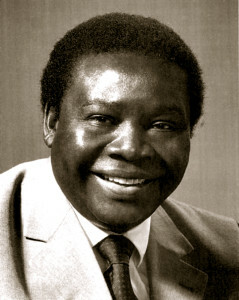 Enoch Olinga was the second son to Samusan Okadakina and Eseza Iyamitai in Soroti County, Uganda. His parents were devout Christians and members of the Native Anglican Church of Uganda. He was also a member of the Atesot tribe, of the Aatekok or Iraraka clan from the Teso region of the north-eastern part of Uganda. In 1927, Enoch’s family moved to the village of Tilling where he received his schooling locally and at the nearby town of Ngora. He later attended high-school in Mbale. In 1941, he joined the British Army Education Corps and went to Nairobi in Kenya. He later transferred to the East African King’s Rifles Corps in South East Asia, visiting Burma, Bangladesh (then East Pakistan), Ceylon, and India. At the age of twenty, he returned to Uganda and joined the Government Department of Public Relations and Welfare, stationed in Soroti and Mbale. He wrote two books in Atesot. his native language, that assisted the Governmental Education Department in the Teso District. 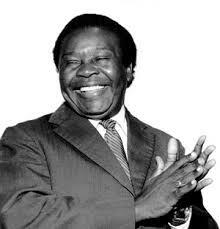 Around 1950, he moved to Kampala, the capital city of Uganda. Enoch was now married, with children. He was developing personal problems and becoming disillusioned with life. The government service that employed him, despite his long record of service and noted capacities, dismissed him because of alcoholism. 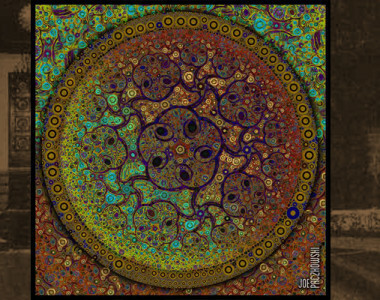 In 1951, Enoch came into contact with the Bahá’í Faith through ‘Ali Nakhjavani, the son-in-law of the Bananis, Persian Bahá’í pioneers; and upon enrollment, he gave up all alcohol. However, this was too late to save his government career. Enoch Olinga was the third Ugandan and the first of the Teso tribe to declare his belief in Bahá’u’lláh. He had become a close friend of ‘Ali and regularly was in attendance at Bahá’í meetings at the Banani home, 3 Kitante Road. 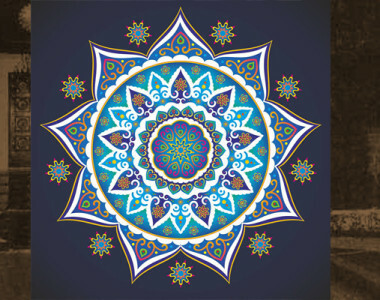 On account of his remarkable transformation in conduct, his wife soon became a Bahá’í. Then many others followed and by Ridván (April 21, 1952) the first of several Local Spiritual Assemblies in Uganda were formed. Shortly afterward, Enoch returned to his native village of Tilling to spread the glad tidings of Bahá’u’lláh. In a few weeks, the mass enrollments begun, the first trumpet blast of ‘entry by troops’ predicted by ‘Abdu’l-Bahá. The following year, nine more Assemblies were formed. In 1953, the first of four Intercontinental Conferences was held in Kampala, February 12-18 and Shoghi Effendi hailed with a ‘joyous heart’, the large number of new believers. The next year, Enoch responded to the appeal for pioneers to open up new territories and became a Knight of Bahá’u’lláh. He was also elected to the National Spiritual Assembly of North-West Africa. That same year,Enoch made a precarious, overland journey to what was then known as Cameroon, becoming the first to open that country to the Faith, holding this pioneer post for ten years. One of the outstanding believers who found the Faith through the teaching work of Enoch Olinga was David Tanyi, the first believer in the entire Cameroon province, later becoming a Knight of Bahá’u’lláh for French Togoland. Discretion often had to be used when teaching and making travel plans in order to avoid arousing the suspicions of the local governmental authorities, for persons of diverse backgrounds and ancestry were often suspected of covert activities. It was during this time, Enoch wrote his first letter to Shoghi Effendi, describing the outcome of the teaching work and asked that he may be permitted to stay at his pioneering post. In 1956, Enoch was elected chairman of the newly formed National Spiritual Assembly of North-West Africa, headquartered in Tunis. In the span of three years, twenty-nine of the thirty-three virgin territories were opened to the Faith. During February 1957, with the assistance of Dr. Ugo Giachery, Enoch was, with some difficulty, granted a current passport and visa to visit the Guardian in Haifa, and arrived in the Holy Land on February 3, 1957, staying for ten days. The love showered upon him by Shoghi Effendi affected him for the rest of his life. He returned to West Africa enkindled with the love of Bahá’u’lláh and made arraignments to move his family. The teaching work in the British territories of West Africa continued. It was on a visit to Uganda, October 2, 1957, when he was notified through a cable received by Mr. Banani that he was, along with John Roberts and William Sears, elevated to the rank of Hand of the Cause of God. One month later, he received the word of the Guardians passing. 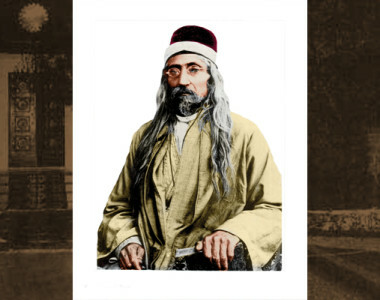 Enoch was unable to attend Shoghi Effendi’s funeral in London but was in attendance for the first Conclave of the Hands in Bahji on November 18, 1957. Rúhíyyih Khánum recalls one of his most endearing qualities was his: “great joyous, consuming and contagious laugh.” He attended the laying of the foundation stone of the Mother Temple of Africa at Kampala on February 14, 1957. He worked at the World Center until 1963. He returned to live in East Africa and found his relation with his wife Eunica, going from bad to worse. 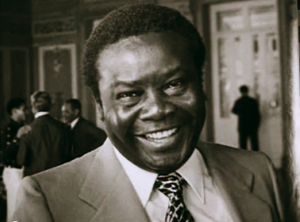 They separated and divorced; he went to Nairobi with his second wife, Elizabeth and all of his children, facing numerous difficulties during the dark days after the passing of the Guardian. Finally, he returned to live in his native village of Tilling in Teso, Uganda and built a house. Though the loving guidance of the Universal House of Justice, he once again began to travel teach for the Faith. In the spring of 1963, he was chosen to be chairman of the opening session of the First Bahá’i World Congress, held in London. Enoch met heads of state during his many visits to different countries, including one with the Dalai Lama in Dharamsala, India, during October 1968. Over many years of service, often accompanied by his wife Elizabeth, he traveled and stimulated the Bahá’ís and met with high officials. He would often bring the Faith before pubic and media. After Mr. Banani died, Enoch purchased his home in Kampala. Additional travels after 1968 were extensive, including a tour of Upper West Africa in 1969 and later that same year, South America, Central America, passing through the United States, then the Solomon Island, and Japan. In 1977, He represented the Universal House of Justice at the International Teaching Conference held in Brazil and then attended the International Teaching Conference in Merida, Mexico where the instructor of this deepening series was given the honor of meeting and conversing with him. He returned to Uganda that same year to help protect and preserve the Bahá’i Community there during a civil war. In September, 1977, the Bahá’í Faith was banned in Uganda by the new dictatorial government headed by Idi Amin. All administrative institutions had to be closed. In march of the same year, Enoch was in a terrible automobile accident when his car was rammed and knocked down the side of a hill by a troop transport; he was subsequently robbed by the soldiers and left for dead. He commented that if it weren’t for Bahá’u’lláh, he would have died in that accident. Two days later, his son Badí was kidnapped by soldiers. 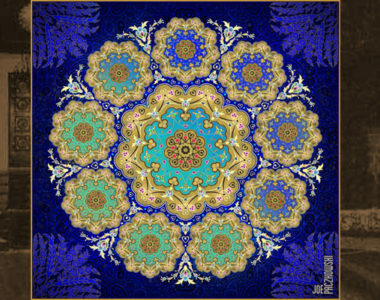 He arranged for his wife and youngest child, Tahirih to return to Tilling. The train they traveled on was strafed by bullets several different times, inflicting many casualties. However, they were not harmed. Badí returned and Enoch promptly sent him and his brother Patrick on to Tilling to be reunited with their mother. He was too weak to make the journey himself because of the accident. Kampala was being heavily bombarded and Enoch was persuaded to seek refuge on the temple property. He made his way there on foot, under extreme pain, struggling against the crowds of people trying to flee the city. That night, a fierce artillery battle raged around the Temple where he spent the night in prayer. The next day, the temple still stood, undamaged. He soon returned to his house, finding it being looted. He was accused of being one of Idi Amin’s men but somehow was able to convince the mob otherwise. He returned to the Temple and assisted in its protection. It was Sunday, September 16, 1979 the birthday of one of Olinga’s daughters, and planned as a day of a family reunion; a few could not arrive in time. After 8pm local time five soldiers entered Olinga’s home. While one stood guard at the household gate, the others killed Olinga, his wife, and three of their five children. Trails of blood went from the kitchen to the back of the house. One of the children had been hurt and roughly bandaged before the family was executed. Enoch himself was killed out in the yard where he had been heard weeping, after perhaps seeing his dead family in the very same house in which he had joined the religion. The news was conveyed initially by the garden servant to a member of the national Bahá’í administration, and then to a 79 year old pioneer, Claire Gung, who called internationally. Ultimately news reached the Universal House of Justice, the head of the religion, while it sat in session on the 17th. All the dead were buried in the Bahá’í cemetery on the grounds of the Ugandan Bahá’í House of Worship on the 25th while civil war and terrorism continued. The funeral included hundreds of Bahá’ís who could make the trip and several members of the government of Uganda.